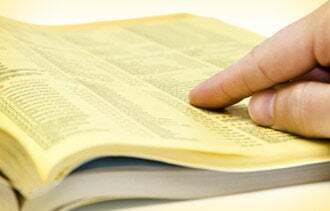 A big, fat Yellow Pages landed in my driveway the other day with an audible whomp. I promptly picked it up and deposited it into the recycling bin with a second whomp. Harsh, right? But when I'm searching for something local--be it a snow shovel or a cinnamon roll--the last thing I'd do is flip through the phone book. This is obvious, right? But according to stat site Statistic Brain, up to half of small businesses don't have a website. One business owner told me she didn't need one because she has a thriving Facebook page with great customer interaction. That's awesome, for sure. But think of any social platform as an "in addition to," not an "instead of." Why? You wouldn't build a house on rented land, so don't place your sole web presence on a platform you don't own. I'm a big fan of WordPress for building websites. The software is highly customizable--you'd be surprised how many WordPress-powered sites don't look like typical blogs--and fairly straightforward to update and maintain. It also allows for easy integration of social widgets, so your site feels more inherently "alive" with customer engagement and interaction. You might consider importing a calendar of local events your business supports, too. There are numerous ways to increase the likelihood your site will be found--a search-engine expert could fill this magazine with information on that topic alone. But I'll leave it at this: At a minimum, your site should have your physical address and phone number (don't smirk--you'd be surprised how many overlook this!) and should contain geographically specific keywords in various combinations. (For example, a roofing company in Glendale, Calif., should include phrases like "Glendale roofing company," "greater Los Angeles roofing" and "Glendale, Calif., roofing business.") Place keywords in the page title, header tags and, where appropriate, in the content of the page itself. Use online research tools like Google AdWords, Wordtracker and Keyword Discovery to research the words and phrases people use when they are searching for the product or service you sell. A "contact us" form is a nice start toward giving the public a way to reach you online. But how do you juice up your efforts to convert visitors into leads? One way is to offer free, downloadable how-to kits, guides or worksheets with an eye toward becoming a resource--a trusted advisor who can help potential customers as they inch toward a purchase decision. For a nuts-and-bolts look at increasing your site's visibility, dig into the new book Optimize by Lee Odden, CEO of TopRank Online Marketing. Claim your profile on search engines and online local business directories like Google Places, Yelp and, yes, YellowPages.com. A great list of 50 online directories is available on HubSpot.com's blog. If you don't claim your profile, you're either needlessly invisible or you risk letting others publish faulty information about you. Writing at MarketingProfs.com, Jon Schepke, president of digital marketing agency SIM Partners, tells of a family restaurant that failed to capture its town's brisk tourist trade because Google had it listed as a grocery store, Yelp described it wrongly as an Italian restaurant and Bing had an inaccurate address. Don't let that happen to you! Search engines like consistency, Schepke says, so be sure your business's name, address and phone number are listed the same way across the web.